I definitely remember waiting a hell of a lot longer for the music industry to return to work last year. It's always nice to have a little break and I definitely don't begrudge anyone for having some time off but dragging myself through that 2 week long absence felt like a lifetime (how inconsiderate of them eh). 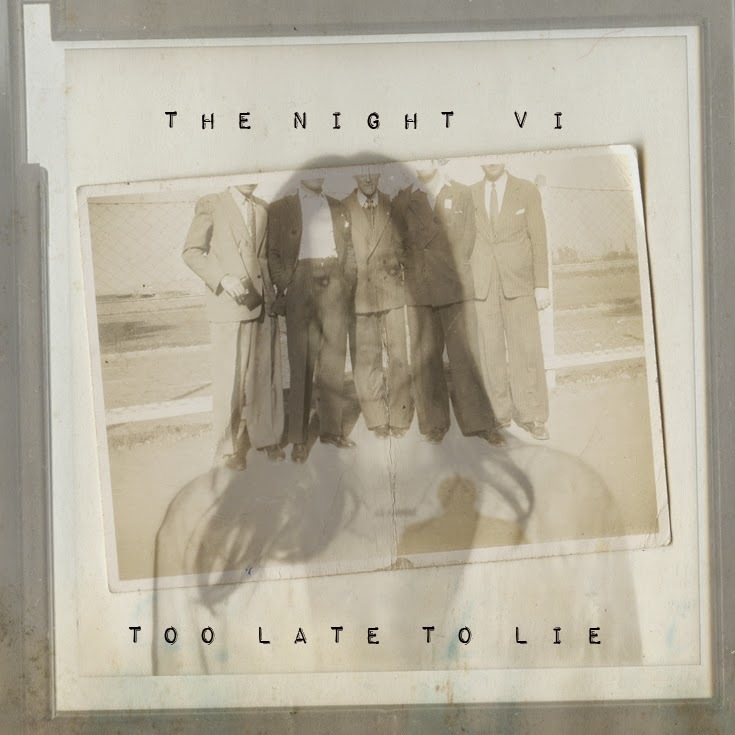 This year's holiday season seams to have flown by in comparison though, not that I'm complaining when we have the return of The Night VI with their delectable new single Too Late Too Lie. Looking to build on a stellar 2014, the band look ahead to their forthcoming as-yet-untitled new 6-track EP (due Sept 29th) with a gorgeous offering of shimmering crystallised pop. Indulge yourself above as Sophie-Rose Harper's ever gleaming vocals shine over a warming haze of shrouded percussion and trundling guitar lines. Set for release on September 29, you can Pre-Order their new EP on CD/Vinyl here. Those pre-ordering today will get the MP3 version of Too Late To Lie as an immediate gratification download in addition to every other song revealed until release date. Be sure to sign up to their new mailing too where you'll gain an exclusive look into what's coming up from the six piece, and in doing so this week will be rewarded with a free download of their 'Covers EP' which includes their rendition of Frank Ocean's Thinkin' Bout You along with takes on classics from Lorde, Stardust & Jeff Buckley.